The revenue projections for this soon-to-be major Canadian industry, as analysts predict, are exponential. The number of licensed producers grew from 38 in 2016 to just over a 100 as of this writing – and is expected to reach more than 200 by the end of this year. 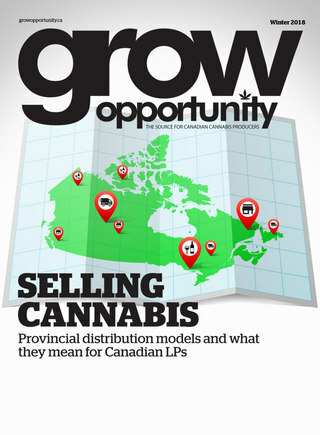 Licensed producers previously in the medical cannabis space are boosting their grow capacity to make room for the expected surge in demand when recreational cannabis becomes legal. Millions of dollars are being invested into the market in the form of infrastructure development, mergers and acquisitions, marketing, and global expansion. What seems lost in the conversation is the need to build up research efforts and the evidence pertaining to cannabis. Despite huge amounts of anecdotal evidence on the benefits of cannabis for certain medical conditions, strong, objective, verifiable science to support the anecdotal data are simply insufficient and leaves much to be desired. The flurry of activities on the economic and social side of legalization should be matched by movement in the scientific and research community. The cannabis industry is going to make an impact on the health and lifestyles of Canadians, and science needs to be part of what will propel this industry to success. It is understandable that the research has not caught up with the hype. Prohibition has made it difficult for researchers to extensively study this up and coming cannabis superstar. That is slowly changing, however. In recent years, more studies have been published in peer reviewed scientific journals related to cannabis. And with legalization, more studies will be conducted with less restrictions than in the past. There is increasing effort in the research community to study the long-term effects of cannabis use to the human brain and body. This is currently one of the biggest unknowns when it comes to cannabis. There is also ongoing efforts to gather more evidence on specific health conditions where cannabis is most effective. That there is a business case for LPs to be investing in research is a no-brainer. Cannabis producers that are investing in R&D are on the right side of history. And I don’t just mean R&D to develop the next best product – albeit it’s an important component. The research initiatives need to be more than just about making a profit. It should also be about being absolutely certain the product is safe and reliable. Good science is good PR, too. Efforts to break down the stigma associated with cannabis use can be helped by good, solid evidence. As cannabis is legalized and transitioned to mainstream, more people are going to be asking the same questions they’ve been asking when it was still illegal. It will spur open, mature conversations about everything having to do with cannabis – including perceived benefits and risks. It’s always great to have science on your side in such discussions. The cannabis community and the research community can work together to continue to build the evidence that will ultimately support the long-term viability of the industry. The anecodotal evidence is already there – people are already finding benefits with cannabis. Let’s get the science to verify and support those claims with objective, scientific proof. Cannabis producers have the resources while the independent research community has the ability to put those resources to good use. It will be good to see more collaboration between these two.